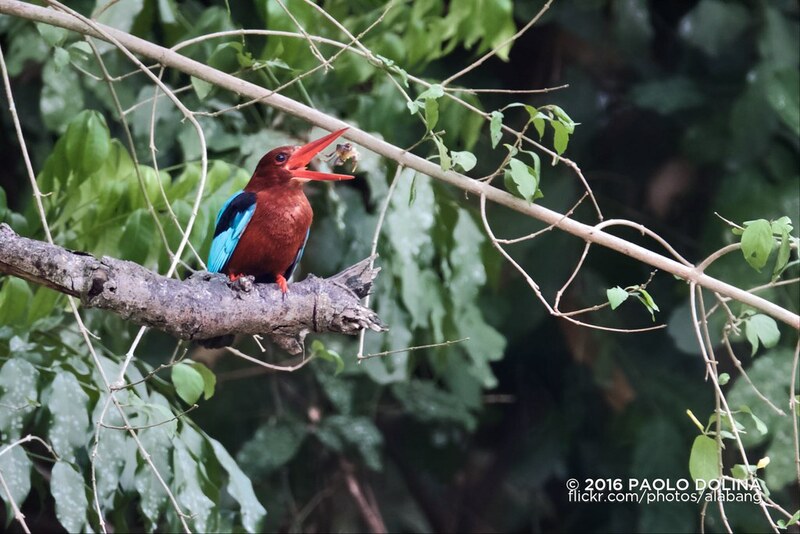 The indigo-banded kingfisher (Ceyx cyanopectus) is a species of bird in the family Alcedinidae. 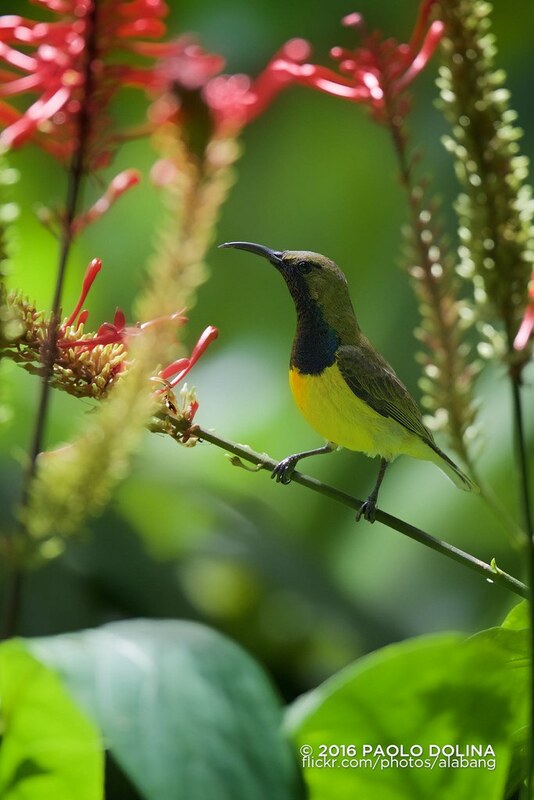 It is endemic to the Philippines, where it is a generally uncommon but locally common resident of the northern and central islands. 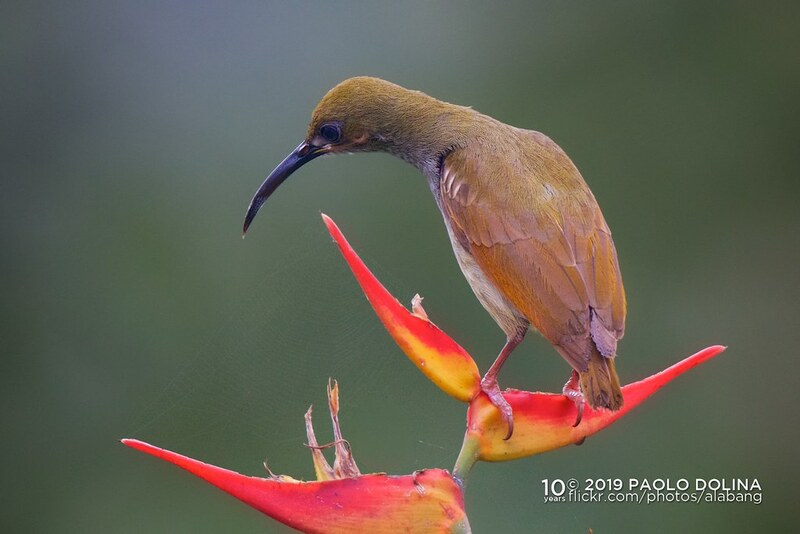 There are two subspecies, the nominate race, which occurs on Luzon, Polillo, Mindoro, Sibuyan and Ticao, and C. c. nigriostris, which is found in Panay, Negros and Cebu. 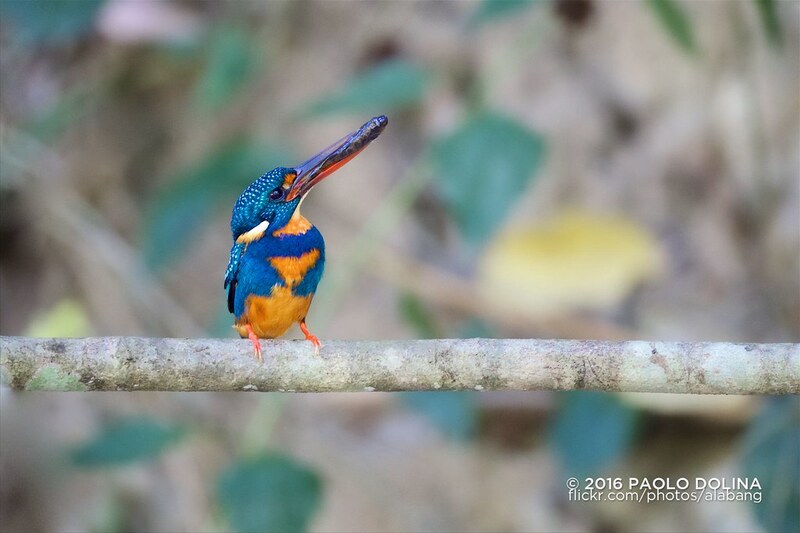 It forms a superspecies with the southern silvery kingfisher of the southern Philippines. 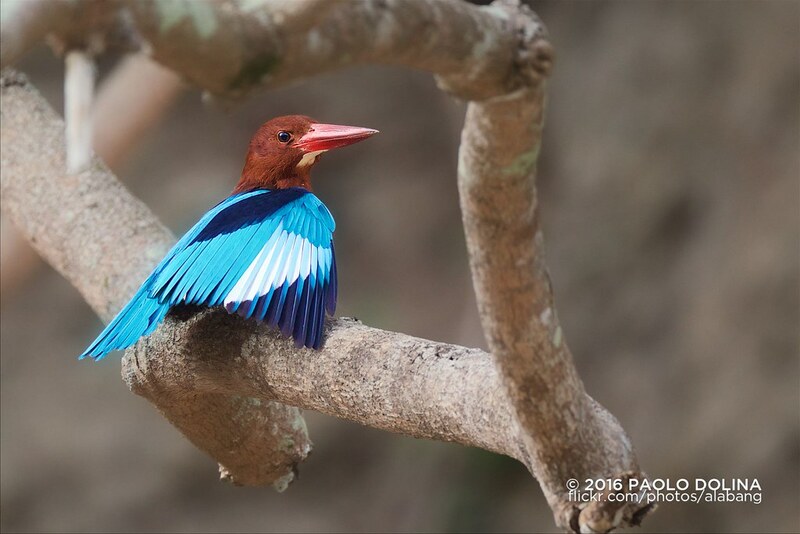 Common names for this bird include "tamsi" in the Philippines and "kelicap" in Malaysia. Very nice shot. Well done, Paolo. 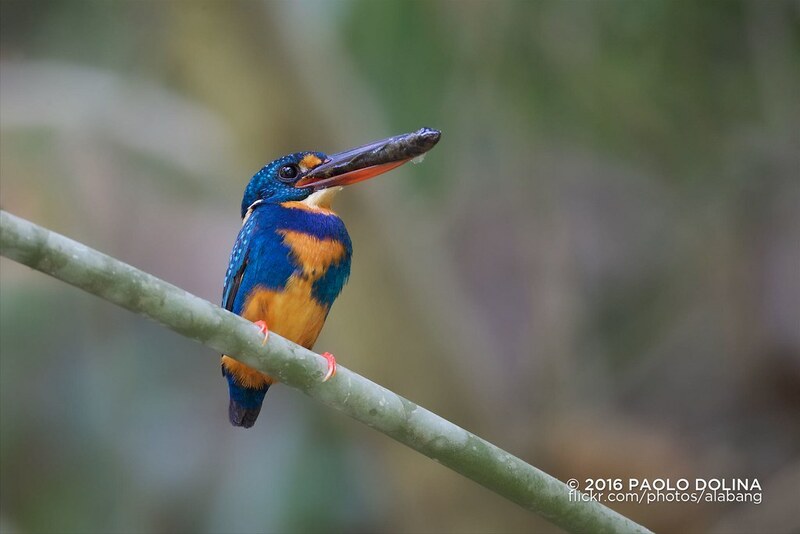 The Brown-breasted Kingfisher (Halcyon gularis) is a tree kingfisher found in the Philippines. This kingfisher is a resident over much of its range, although some populations may make short distance movements. It can often be found well away from water where it feeds on a wide range of prey that includes small reptiles, amphibians, crabs, small rodents and even birds. During the breeding season they call loudly in the mornings from prominent perches including the tops of buildings in urban areas or on wires. Upon the recommendation of a user I have desaturated my bird as it was generating blown highlights and false colors. The motion blur of the bird flipping the crustacean was caused by my 1/200 shutter speed. If given a chance to do it again I would increase it to 1/500. I posted the slightly out of focus image because I felt that the subject matter of the bird eating was stronger and conveyed a compelling story. A couple of recent shots with the EF 800 f/5.6L IS. I was using a 1D Mark III here. The first image is handheld. In a moment of weakness (and positive bank account), I bought a used Canon 800mm f5.6. The first two images i took hand held of all things when i first got it and used my 1DX. The leopard and black shaheen were taken recently this year. I was resting on my knee for the leopard using the 5DSR at 3200 ISO at 1/80th sec shutter as the light was so poor in the forest canopy and the black shaheen falcon I was dangling over a cliff edge resting the lens on my arm on the rocks and was also using a 1.4X TC for added reach so I had 1120mm focal length at 1/2000th shutter and ISO 640. I'm pleased with the results the 800 can achieve and it reaffirmed I made a good choice even though I own a 600mm which seems a duplication at first. This said I'm using the 800mm more than i thought i would ...and not just on tiny birds. That osprey shot is as good as it gets in conveying activity.